Friday, we had lunch at the Coal Valley Winery – extremely fresh crumbed flathead fillets, salsa verde and a salad of rocket, fennel, mixed green leaves, julienned apple, with segmented orange. Chardonnay was expensive, but delicious. 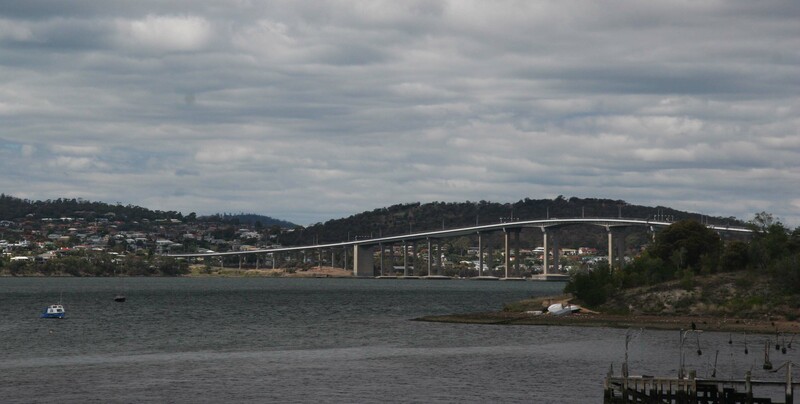 On Saturday, enjoying the temperature of 24 degrees, we had lunch in the grounds of the University of Tasmania, before moving on to Cornelian Bay, in view of the Tasman Bridge. This area seems to be newly developed, and offers BBQ areas, tables and seating and we spent a couple of hours watching cyclists, families, walkers or just staring out over the bay, watching the water birds waiting for the tide to come in. It was very relaxing and just what we needed. 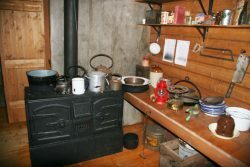 Today, we went to see the replica of Mawson’s Hut, which was fantastic. Mawson, with 17 men, set off in 1911, arriving in 1912, to explore Antarctica. They took over Gleenland Sledge Dogs and built a tongue and groove hut, which was home to them for 2 years. None of the men had Carpentry as a profession, yet they built this quite large, substantial hut in 1 week. (When the replica was built in Hobart, it took 3 months). The site they chose at Cape Denison turned out to be the windiest sea level location on earth with winds throughout winter of 200 mile per hour (the latest cyclone in Fiji had winds of 200 Km/Hr – 125 mile per hour). 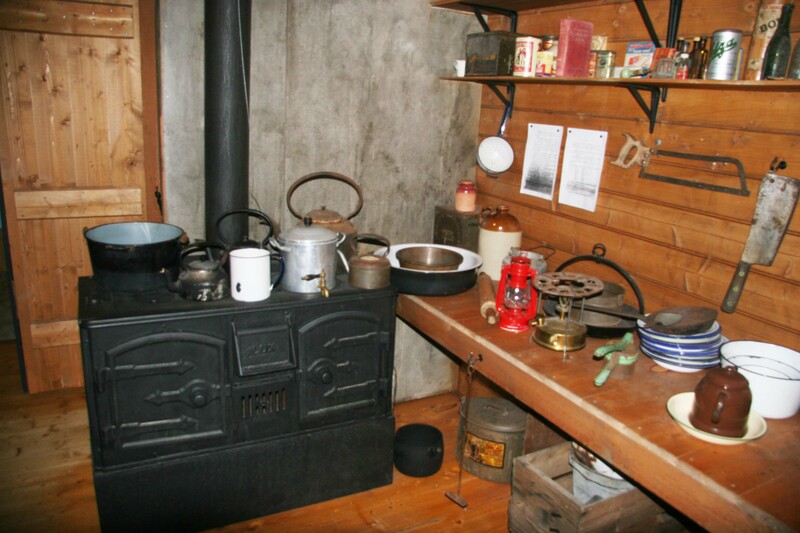 No wonder they built it so quickly!The amazing thing was to see the contents of the hut – a large coal burning stove/oven. An organ, photographic equipment, cooking equipment, a sewing machine, all the bibs and bobs, like press studs, hooks and eyes etc. just to name a few things. 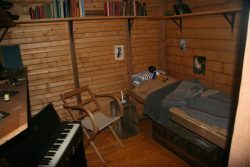 Mawson had his own room that included on organ, all the others slept in bunks that surrounded three walls on two levels. While they were in Antartica, they arranged 3 expeditions. One out to sea, one inland and one along the coast. The coastal expedition was led by Mawson, and when they were 500 kms from their base, they lost their supply sled, their best dog team and Ninnis, a member of the team. 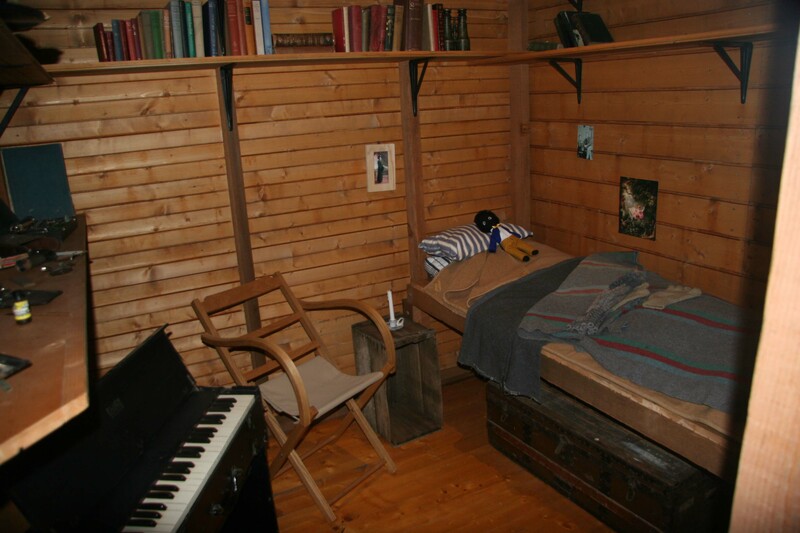 He took a gollywog to Antarctica and, after his death, it was a treasured possession of Mawson, who looked after it and wouldn’t allow his children, or anyone else to touch it. We then went on to see the Tasmanian Museum and Art Gallery, which again was very good, although a little disappointed with the amount of paintings in the Gallery. The pottery and woodwork were amazing. 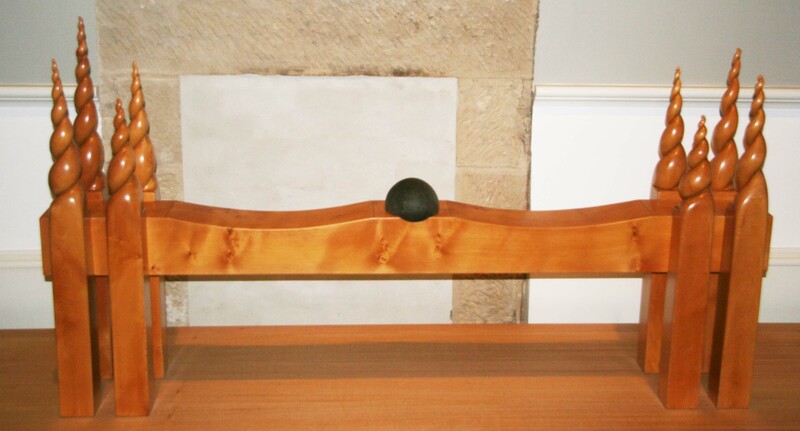 This photo is of a cathedral seat in Huon Pine, the wood turning on the ends is amazing. Of course, it all had to be topped off with lunch on the wharf! With a large cruise ship in port, it was absolutely buzzing with people from all over the world and we really enjoyed the setting, meal and again, this wonderful weather – about 26 degrees. After this we drove to Sorell, did some shopping and found a picnic table at Seven Mile Beach to enjoy a glass of wine before heading home. Sounds like the trip has started very well, except for the boat ride. How does the saying go?…… If the boat’s a rocking….. Thanks for the great descriptions. I felt like I was sitting in the camp kitchen while the pizza cooked. Sure beats sitting at my desk! We don’t have Telstra here, so, my phone is with iiNet. I’ve been able to send this, so there may be another blog..